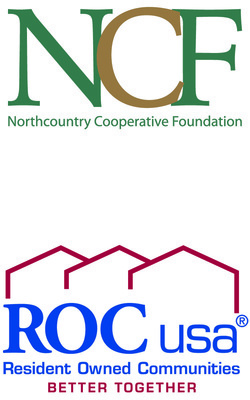 Who are Northcountry Cooperative Foundation and ROC USA, LLC? • Northcountry Cooperative Foundation is a 501(c)3 nonprofit organization that provides education and technical assistance to cooperative organizations. We focus on helping residents in manufactured home communities buy their properties from their current investor-owners, forming resident-owned cooperatives. We develop affordable housing and provide assistance to low-income, low-wealth, and under-served communities. This assistance helps develop community-owned and democratically governed enterprises through training, research, education, development assistance and specially designed projects. • ROC USA, LLC helps resident corporations buy their manufactured home communities or “mobile home parks” from private community owners. ROC USA is a non-profit organization with a mission of making quality resident ownership possible nationwide. We do this by first focusing on communities that are ‘for sale’ and where homeowners have a strong likelihood of success if they choose to work as a group and buy it. We know that with opportunity, technical support, and financing, homeowner groups can buy, preserve and improve their communities. We know because we have helped over 100 communities do just that!